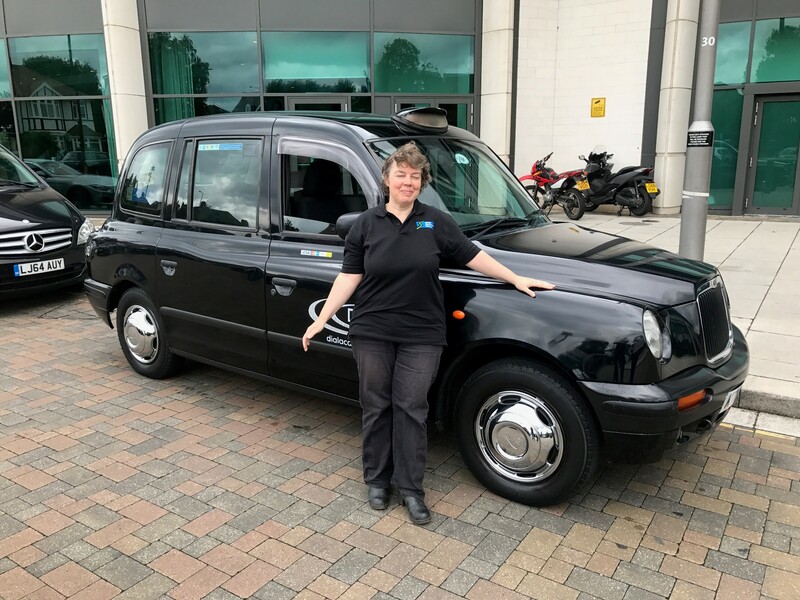 Following the successful trial in Birmingham of re-powering 65 black taxis to run on LPG as part of the Birmingham NOx Reduction Champions Project and approval by Transport for London (TfL) GasCab taxis are now operating in London. The latest customer, Karen Menpes, expressed her delight at how much better the vehicles drives whilst reducing pollution. She tweeted, "LPG engine installed and running! From pollution to no pollution" and "Just had my cab converted to LPG ... love it...."
London, and most urban areas of Britain and Europe, have an acknowledged air pollution problem, frequently described as a 'public health emergency'. The role that diesel cars play in this crisis has been under greater scrutiny in the wake of the VW emissions scandal that threatens to implicate other manufacturers. The current fleet of diesel taxis are high-mileage urban vehicles accounting for 17% of traffic in central London and are currently highly polluting. This problem needs to be addressed as a matter of urgency and it is encouraging that Geely, the maker of the black taxi, is about to introduce a much more environmentally friendly petrol/electric hybrid model. However, there are approximately 44,000 diesel black cabs in Britain today and replacing them all, providing the necessary charging points and upgrading the electrical supply infrastructure will take many years. Current Government incentives provide support for 9,000 by 2020 and under current regulations diesel black taxis will still be plying their trade in London in 2032. London is world famous for its iconic black taxis and world-leading driver training, the 'Knowledge', and this surely must be preserved whilst the deadly pollution is removed as quickly as practically possible. The GasCab solution can make this happen much faster whilst eliminating the risk of transplanting the pollution to other UK cities and without the financial and environmental cost of scrapping serviceable vehicles. The GasCab re-powered taxi solution has been extensively emission and endurance tested and been shown to reduce NOx by 97%, enabling the vehicles to pass the latest Euro VI standards, thereby meeting the new Clean Air Zone (CAZ) requirements. In addition, the cabs are quieter, have less vibrations and are more comfortable to drive. LPG/Autogas is already widely available across Britain and drivers can expect 20-30% lower fuel costs. There is no range anxiety since a full LPG tank will provide 300-400 miles of motoring. In recognition of the benefits TfL will extend the working life of the taxi by five years. Heathrow airport is also encouraging the initiative by providing a 50% discount at the taxi feeder park.